"Soapbox derbies are close to my heart. As A kid I remember the stories of how my father spent hours building and perfecting one. 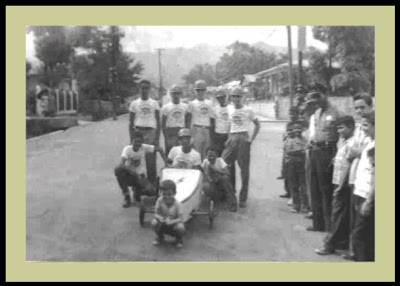 He eventually won first place and was lucky enough to fly to the United States and represent Puerto Rico in the All American Soap Box Derby.My father eventually became a very successful engineer and although he is not building soap box cars anymore he still enjoys telling the story to his grandkids". While the city is renowned for its traffic gridlock, on Saturday, June 9 the usually clogged streets of Midtown near Piedmont Park will transform into a bona fide drag strip! 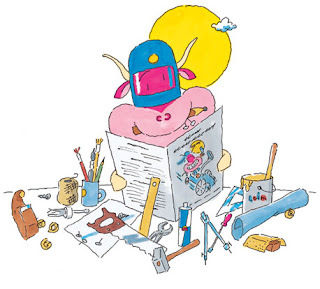 Approximately 40 teams will compete in this non-motorized racing event, which encourages gear heads and adrenaline junkies alike to break out their toolboxes and build outrageous human-powered vehicles designed to thrill the masses. Although it’s the same location as the 2009 Red Bull Soapbox Race Atlanta, racers beware - you’re in for a whole new set of challenges! Ever wanted to speed past a crowd of thousands as they cheer you on to victory? Well, Red Bull Soapbox Race is calling! Teams can enter their engineering marvels and crazy concepts with a formal application found at www.redbullsoapboxrace.com starting on Wednesday, January 18. Don’t delay – get that concept submitted ASAP, as applications MUST be submitted by Monday, April 16. Each soapbox must be powered by gravity and imagination, which means no stored power or external energy sources allowed. And size does matter! All vehicles must be less than six feet wide and 12 feet in length, no more than seven feet high and cannot weigh more than 176 lbs (not including the driver). Drivers must be at least 18 years old, but engineers and grease monkeys of all ages are welcome to be part of the five person team. The Atlanta event will be the 12th U.S. Red Bull Soapbox Race to ever take place, with the first stateside race held in St. Louis in 2006. The global event dates back to 2000, when it first took place in Belgium, and has since visited almost 30 countries. Other stateside pit stops planned for 2012 include Red Bull Soapbox Race Texas, which is set to take place in Dallas on September 15. For more information and to apply, visit www.redbullsoapboxrace.com. A selection of high-resolution event photos from around the world can be downloaded at www.redbull-photofiles.com.